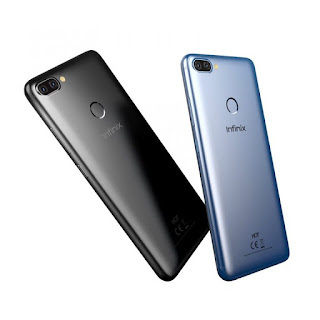 We might be getting accustomed to the fact that Infinix Mobility recently, are offering us nothing new other than refurbished devices. I mean, aren’t we all getting tired of devices whose only upgrades are in its designs and build; or maybe OS version? It’s as simple or as same as putting old wine in a new bottle. As much as affiliate links to the products will be included, I’ll give an honest review. The Infinix Hot 6 and Hot 6 Pro were tagged “Double Amazing” by the smartphone brand. Truth be told, there is nothing amazing or extraordinary about these flagship devices. I stand to be corrected though, if you feel otherwise. I think we all need a break from the Infinix and Tecno smartphone brand (both of which are the most popular in Nigeria, and West Africa to some extent). Thanks to Xiaomi which is penetrating into the Nigeria smartphone scene, and Africa at large. The Infinix Hot 6 is a lesser variant of its pro version, Hot 6 Pro. I’d compel you to get the Hot 6 Pro if you have the thought of buying one of these. The Infinix Hot 6 Pro would be our subject of attention, but not without an overview of the Infinix Hot 6. 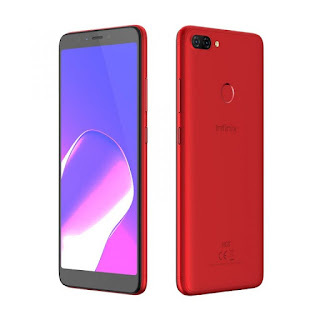 The specs are quite disappointing as it bore the same resemblance with the Infinix Hot 4, with albeit little difference. 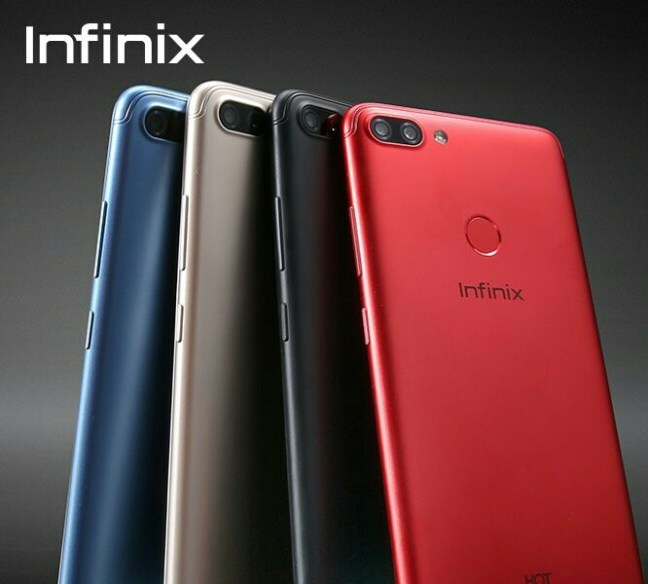 The Infinix Hot 6 Spots a dual rear camera of 13MP + 5MP, and a front facing camera of 5MP. It also boast of an elegant design with a polycarbonate build i.e plastic. This variant features the popular 18:9 aspect ratio with a 1440 x 720 pixel resolution. The resolution is not so good and a minor setback in this era of smartphone display. Infinix Mobility continues with the trend of slim bezels with the Hot 6 featuring very slim bezels at both sides. The top and bottom bezels are reduced with an onscreen navigation botton. 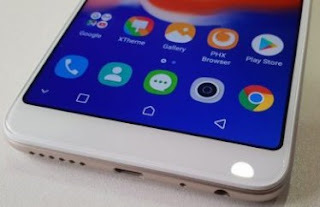 What’s somewhat disappointing is the use of the slightly outdated TFT technology for its touchscreen functionality and display. Not to mention the use of the low grade MediaTek MT6737 chipset processing at a 1.3 GHz frequency (same as the Hot 4) which is dual core. Not so great for multitasking. In relevance to the RAM and internal storage, it comes in two different variants - 2GB RAM and 3GB RAM alongside 16GB and 32GB ROM respectively. It runs on Android 8.0 Oreo supported by Infinix’s own XOS Hummingbird v3.3. In terms of battery capacity and runtime, it has a non-removable 4000mAh Li-Po battery which promises a whole day usage when fully charged. Lest it be forgotten, it’s a 4G LTE enabled device. 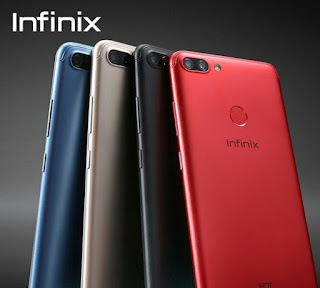 How much is the Infinix Hot 6? It cost N35,000 - N38,000. Infinix Hot S3 vs Tecno Camon CM: Which Is Better? The bigger and better variant of the Hot Series, though, not without its shortcomings. It’s indeed a pro version packing notable improvements like a more bigger display; a qualcomm snapdragon chipset with higher processing frequency; facial ID technology; and… nothing else. The Hot 6 Pro is available at online and retail outlets across the country, but first things first - How Much Is The Infinix Hot 6 Pro? The Hot 6 Pro price is within the range of N46,000 - N51,000 depending on the dealer. You can checkout deals on Jumia starting at N46,900. This device boast an elegant design with same polycarbonate build as previous infinix devices. It spots very slim bezels which is a trend for new smartphones. It has a reduced top and bottom bezels. The top bezel features the selfie camera, proximity sensor, selfie LED flash and call speaker. The base bezel features nothing as the device has an onscreen navigation display. The SIM port is spotted at the left side of the device alongside the micro SD slot. Infinix decides to fix the micro USB port, 3.5mm headphone jack, and speaker grills at the bottom of the device, leaving the top of the device featureless. It is the same as the style adopted by Tecno Mobile For its Camon X Pro flagship, with the absence of Type-C USB. 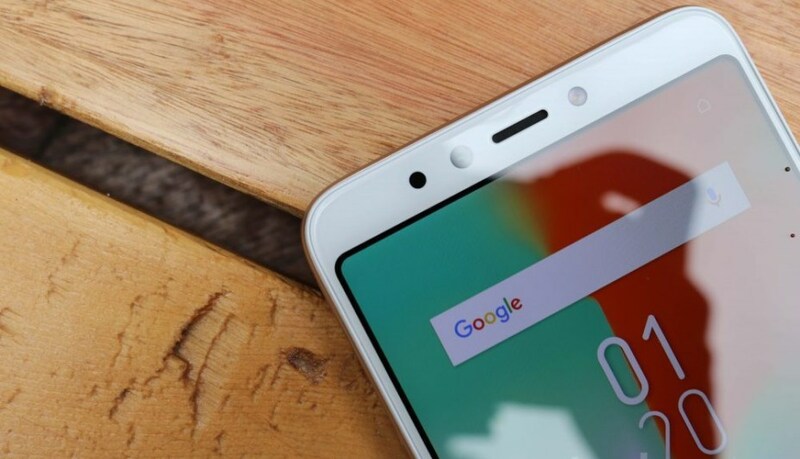 Moving to the rear which features some important aspect of the device, the Hot 6 Pro spots a dual camera fixed horizontally at the top end of left side of the device. The fingerprint sensor is seen below the camera as it has always been on other infinix phones. How good is a new era smartphone without bigger and better display? 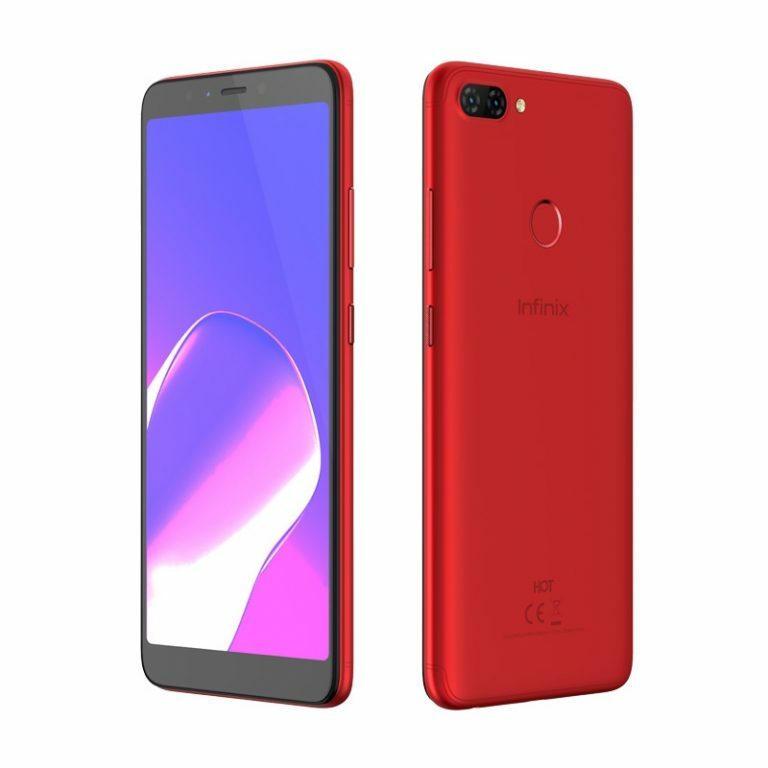 With a 6.0 inch display based on a 18:9 aspect ratio, the Infinix Hot 6 Pro should more than fairly quench the thirst and satiate the appetite of movie and game lovers. Along with the big screen is the 1440 x 720 pixels screen resolution which is not so great, but considerable. Its TFT LCD capacitive touchscreen is a deviation from the usual IPS display favoured by smartphone manufacturers. And it feels like it isn’t good enough, if not appalling. When compared to the recently released Camon X Pro by Tecno Mobile, it’s no match for the selfie beast. There is no comparison even with the inclusion of its dual rear camera. Comparison aside, the Hot 6 Pro follows the trend of dual rear cameras with its impressive 13MP + 2MP rear camera, with features such as: autofocus, 2x zoom, phase detection and others. As for the selfie camera, Infinix need to take the leap. It is same 5MP camera which is usual among recent Infinix devices with few exceptions (that’s if there’s any). It should be good enough for manageable quality selfie experience. The rear camera is the real deal. I was very critical of the Hot S3 running a relatively old chipset. It’d been more preferable if the Helio P23 was used. The Hot 6 Pro runs the outdated Qualcomm snapdragon 425 chipset. It would certainly perform to the required level of expectation. Multitasking should be smooth with its quadcore processor frequency set at 1.4 GHz. The graphics processing unit is the Adreno 308 which is okay by all standards. 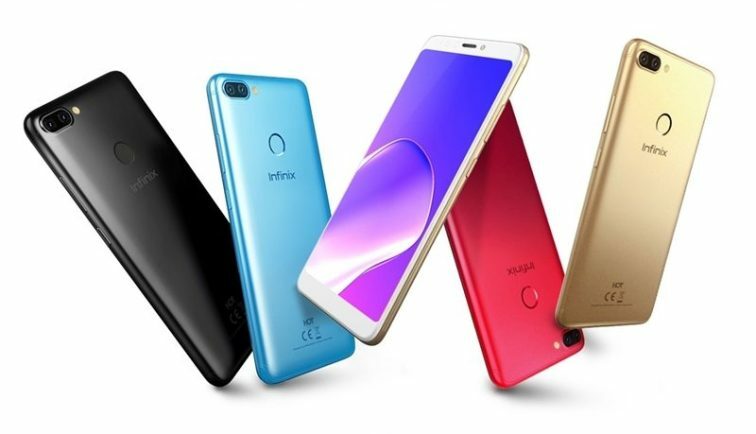 The device runs on the latest version of OS, Android 8.0 Oreo, supported by Infinix XOS Hummingbird v3.3 which has new features. For maximum security, facial ID technology (otherwise called Face Unlock) has also been included. This is in addition to the use of onscreen passwords, PIN, pattern and fingerprint. You have the option of using whichever suits you and feel secured. In terms of memory, it comes in two variations - 2GB RAM + 16GB ROM and 3GB RAM + 32GB ROM. If you feel it isn’t enough for your large files, it has an option for expandable memory (microSD) upto 128GB. Speaking of battery, Infinix has always got that covered. The Hot 6 Pro boast an impressive 4000mAh battery which is made of Li-Po and it’s non-removable. It is actually frustrating to have such large battery and sweat over charge time. It has a quick charge feature thereby reducing charge duration. All the much-needed sensors and controls are available - accelerometer, proximity sensor, fingerprint sensor (mounted at its rear), gyroscope and others. It ain’t water resistant or dust resistant. We’re still waiting for such kinda tech from the smartphone brand. It’s a budget/midrange device, and that’s what it is. From a tech perspective, nothing is new. It’s a refurbished Hot 4 device with normal upgrades. In regards to display, the TFT technology is not in vogue, and it could have done better with its screen resolution. No problem, it’s forgivable and okay. Memory is certainly good enough. The selfie camera is good, but could easily have been more than just good with a higher Megapixel. It’s disappointing though for the processor. Low grade MediaTek MT6737 for Hot 6 and an outdated Qualcomm Snapdragon chipset for Hot 6 Pro. All in all, it’s a good device. 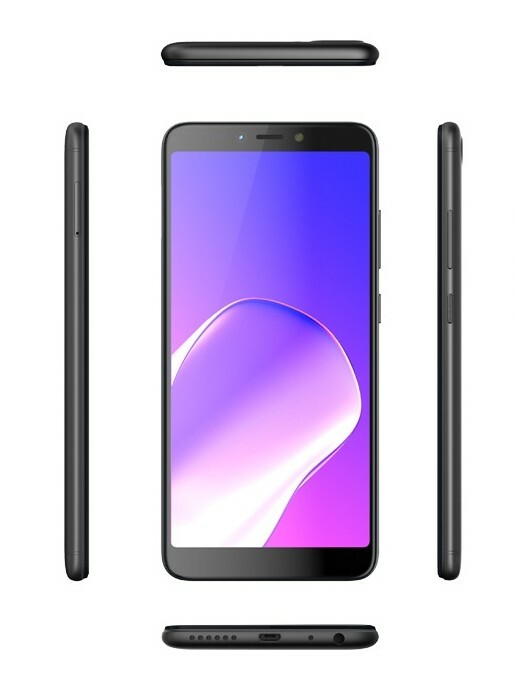 The Hot 6 Pro will offer more value for money. Better still, you could opt for Tecno Camon X Pro or Xiaomi Redmi 5A.